As stated earlier, I have been writing about cybercrime for quite a while. Articles of note include; Cybercriminals Do It in the Dark - Your Information for Sale on the Dark Web?, The Growing Holiday Cyber Security Threat and It's a Black Hat Christmas - Are Hackers in Your Stocking? just to name a few. My writing isn’t limited to warning about cyber threats only. 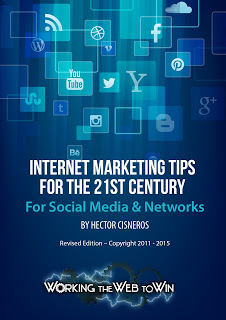 I have also written about how to protect your digital world on many occasions. For example; my article called How to Implement an Internet Security, Counter Attack, provides a step by step process needed to take care of your digital domain. This included my top seven, must implement elements for your protection. In my article called 36 Top Cyber Security Tips to Protect your Digital World, I laid out a comprehensive list of the latest techniques and tips to do the same. 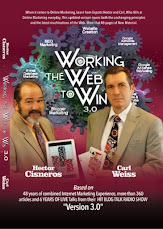 Many know me as a marketing executive, so you’re probably asking yourself – “If Hector’s current chosen field is internet marketing, why does he write about cybercrime and security?” The answer is simple. First, cybercrime has a tremendous impact on all things Internet. 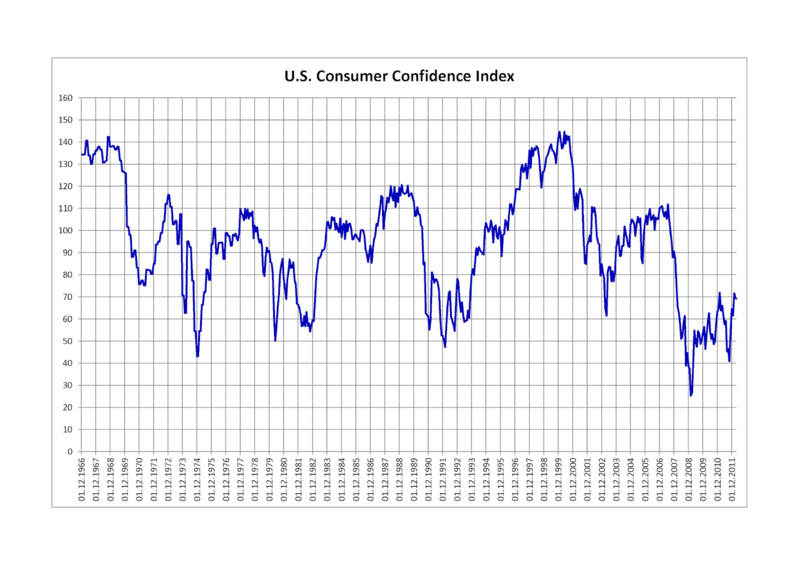 It has a direct effect on the confidence of consumer buying. Second, in my former profession, I was an I.T. network system engineer, and part of my duties was to keep bad guys from getting into my client’s digital domains. In the almost 40 years I have spent working on, setting up and using computer systems of almost every kind, there has always been one constant. Digital information is very valuable, and there are a lot of bad guys willing to scheme in hundreds of different ways to get at that valuable data. The First Strike against us - Today, the process of attacking a person’s digital domain is easier than ever. First, there are just a lot more digital systems to go after. Heck, there are more digital systems on the planet than there are people. If you count all the computers, tablets, smartphones, smart TV’s, other smart I.O.T. devices and A.I. appliances like the Amazon Echo or the Google assistant, that people own, the number of devices becomes staggering. The Second Strike against us – Also today there are 7+ billion people on the planet, of which about 4 billion of them have digital devices. A large number of these are baby-Boomers at or nearing their retirement age. This aging population, although more experienced than their younger brethren are more susceptible to being scammed. This is partly because this population is older and more trusting and partly because their information has been around the longest. The Third Strike Against us – The last strike has to do with the bad guys getting hold of a lot of baby-Boomer data files. When Yahoo was breached a couple of years ago, its primary user base was made up of lots of Boomers. Yahoo is one of the oldest platforms for email and internet usage; their Boomer user became a potential victim. When Equifax got hit with its massive breach, many Boomers again were affected because Boomers made up a significant portion of their consumer base. Now with the massive Facebook breach, boomers may have lost out again. Now don’t get me wrong, I am not saying that these breaches don’t affect the general public, it absolutely does! Equifax’s breach gave up the information of 149 million users. That is most of the adults in the U.S population! 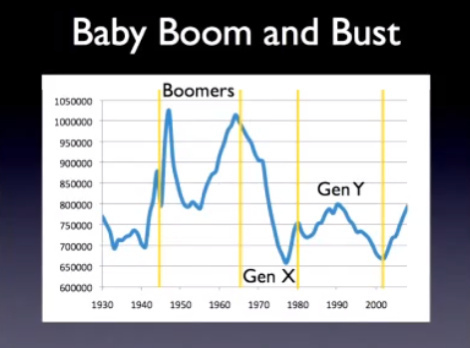 Gen Xer and Y’s are also affected. In fact, almost everyone in the U.S. has digital devices, right down to our kids! No one is immune! 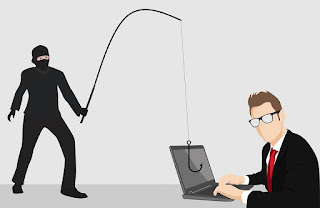 Phishing for Your Life - Recently I noticed a lot of phishing attacks using fake “Life Insurance ads offering Great Pricing or No Qualifying benefits to those reading the ads. I have been receiving multiple email solicitations using these types of ads almost weekly. The same is true for fake “Survey Ads” touting “Take this survey and earn a free Visa Gift Card!”. These scams are not new; I mention them because I am sure I am being targeted based on my baby-Boomer profile and my Yahoo, Equifax, and Facebook user information. Email Phishing scams are almost as old as the internet itself. There are scams touting just about anything you can think of. For example; there are scams professing that your package is on the way, that you have won a free Amazon (Walmart, etc.) gift card, a free iPad, a smartphone, that your email (Facebook account, bank account) needs to be reactivated, that you have inherited money and the list goes on. In fact, if you do a search on our blog, you will find dozens of articles that address the phishing issue in depth. Another good place to learn more is to visit the FEDERAL TRADE COMMISSION - Consumer Information on Scam Alerts website and the University of Chicago website which shows many of the latest Phishing scams. Both provide a wealth of information. Here is a short list of current articles I found that also discuss the various types of phishing scams currently employed today. At this point in my story, I think it's time to address the elephant in the room. “Just how can you tell if the email you have received is a phishing scam?” The truth be told is that there is no easy way. Many of the phishing attacks today use high-quality duplicate graphics of the companies and products they are imitating. Also, their email URL addresses have improved drastically. One of the things I rely on a lot is not empirical data or a database of criminal URLs or anything like that. I ask myself, does this sound too good to be true? The simple reality is this: If it sounds too good to be true, it most likely is. FREE TIPS - There is a whole hoard of tips and techniques I suggest you implement to protect your digital world. A few free and simple suggestions include using at least 12-digit passwords with a mix of letters, numbers and special characters for all your accounts. Use two-step authentications on every account that offers this service. Keep all your software up to date. This includes your operating system, applications, browsers, smartphone apps, widget and anything that runs as software on any digital device you own. If you're using Microsoft Windows, make sure you know how to create restore points so that you can repair your system if its damaged by an attack. Also, use browsers and search engines that provide greater levels of privacy like Firefox and DuckDuckGo. Worth While Paid Tips - Paid tips include always implement and use at least one antimalware application and make sure it’s kept up-to-date. I also recommend using multiple levels of antimalware protection if possible. Further, consider implementing and using a hardware firewall and or a security monitoring device. A software or hardware VPN can also add another layer of protection as well. Don’t forget to make regular backups (at least weekly) of your system and data files. Google and Microsoft offer minimal free capabilities, but I suggest you subscribe to get a terabyte of space of either of their cloud service. Lastly, I also suggest you purchase identity theft protection and always use a single use or reloadable credit card for any internet purchases. For a comprehensive list of tips and techniques, read: 36 Top Cyber Security Tips to Protect your Digital World. Also, read; The State of Internet Privacy & Security in America Today. These two articles provide an in-depth overview of cybersecurity while addressing just about every angle that cybercriminals come from. Cybercrime, especially email phishing attacks, is a major problem affecting the value and confidence people place on the usefulness of the internet. This scourge is getting worse because mega-corporations have been collecting our personal information for several decades, yet their cybersecurity defenses have not been up to the task of protecting our data from cyber breaches. This a self-evident fact for anyone who reads or watches the current news. It is now the personal responsibility of each and every user (yes, even your kids) to guard against cybercrime, especially phishing attacks. 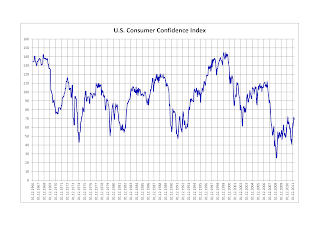 As a marketing executive, consumer confidence is important to me. Cybercrime has had a huge impact on consumer confidence, and email phishing attacks are cybercriminals’ primary weapon of choice. Make sure you read the recommended articles linked in this blog. Doing so will raise your awareness to a level of competence that makes it harder for cybercriminals to breach your defenses. Ignoring my advice will sooner or later lead to very bad things happening. This article provides an in-depth look at why and how cybercriminals are profiling American citizens, especially baby-boomers and those individuals whose information was stolen when Yahoo, Equifax, and Facebook's subscription databases were breached. 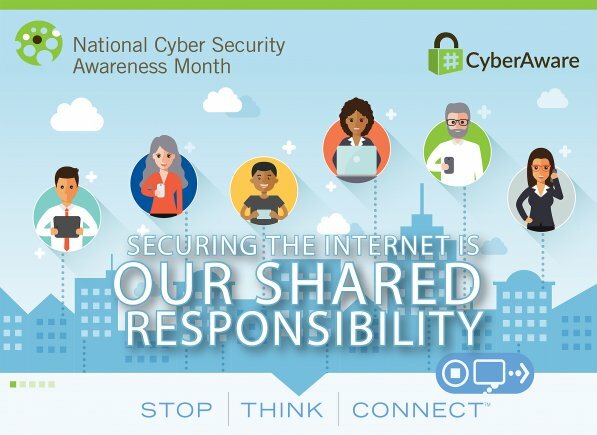 It further provides tips and techniques to help protect your digital world and provide additional links to other comprehensive and related articles including a link to the BlogTalkRadio show notes page.